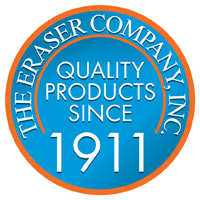 Whether you’re working with coaxial, extruded, or magnet/enamel wire or cable, Eraser offers a wide range of stripper machine options. Remove the insulation from virtually all magnet and enamel wires of all sizes and insulation types, including Teflon. To check which of our wire strippers (by machine model number) will suite particular wire sizes, view Eraser’s Guide to Wire Stripping or contact one of our sales engineers. Designed to accommodate a wide range of wire stripping applications from automatic, air-operated, bench and portable machines, our complete line of strippers feature more than 40 products. 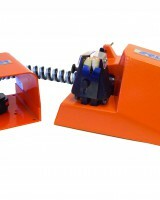 Scroll down to view all our automatic wire stripper machines. And if you can’t find it here, we can custom build one for you! Lightweight hand held thermal wire strippers for stripping solid and stranded wires. The HTS Series is especially effective on insulation such as P.T.F.E. and Teflon. The temperature at the stripping elements is variable up to 1100°F (594°C). The HTS1F is activated by a foot switch that controls heat, and when the foot switch is released, power to the elements is disconnected. The hand-piece is only 7-1/8″ (181mm) long. A fiberglass brush is provided with each unit to clean the elements periodically. 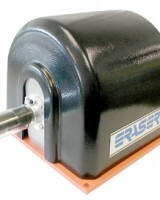 Eraser’s Model L1 Bench Wire Stripper removes film insulations including enamel, Formvar, ML, armored poly-thermaleze, epoxy and more from round wires 29AWG to 13AWG. A high-speed rotating insert strips insulation from the surface of the wire.Close-up stripping is possible flush to a coil body or bobbin. Model L1 can also be used for other applications such as deflashing wires, cleaning legs of electronic components and cleaning pins on transformers and coils. The unit may also be used to clean round pins on transformers, wire wrap sockets, DIP sockets and relay sockets. The L1 can also remove oxidation, flashing, epoxy, and even contaminated solder. 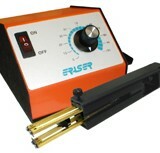 The Model RT2A Fine Magnet Wire Stripper will strip film type insulation including Formvar, ML, enamel, varnish, isonel, and more from fine wires. The conical fiberglass wheels rotate at high speed to generate frictional heat which softens the insulation on the wire. The “nap” of the brush wipes this insulation away.The machines features a strip length stop which allows for consistent strip lengths, a dust take off port for environmental safety, and close-up multiple wire stripping capability. The unit also cleans and polishes leads of small electronic components and removes oxidation and other contaminants from leads as small as 0.0012” (.03mmø) diameter.